Available in both a sedan and hatchback, the Mazda 3 is an incredibly versatile vehicle. 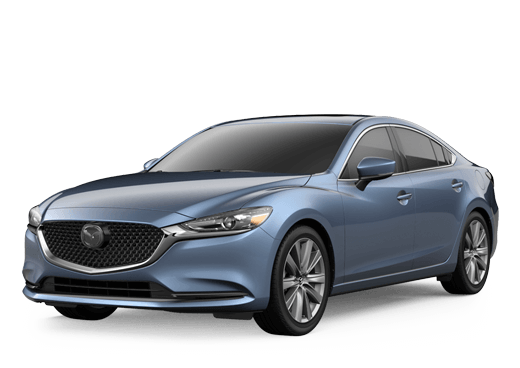 Whether it is the fuel economy, safety technology, in-cabin tech, or its streamlined design, the Mazda has been on the top of both consumer and critic’s lists. Mazda’s flagship vehicle, the Mazda 6 is lauded for its combination of power and efficiency. It has firmly separated itself as the top sedan in its segment. The Mazda 6 is pure driving fun in a midsize sedan package. Packed with the very latest technology available, the Mazda CX-3 can provide an unprecedented level of performance with available all-wheel drive (AWD) and SKYACTIV® technology. The Mazda CX-3 also comes with the Mazda Connect Infotainment system. The Mazda CX-5 is a breath of fresh air in the world of SUVs. The Mazda CX-5 provides almost everything an SUV buyer needs and provides the perfect transition vehicle for car buyers to step up to. Powered by SKYACTIV® technology, the Mazda CX-5 feels like a sports car behind the wheel. The Mazda CX-9 is a more family-oriented SUV with impressive handling and sporty Mazda features. Drivers can enjoy the extra space of the Mazda CX-9 and its signature Mazda style and driving feel. The Mazda CX-9 uses SKYACTIV® technology to squeeze out the most efficiency possible. Nothing says “Mazda” like the Mazda MX-5 Miata. Each year the Mazda MX-5 seemingly gets more fun to drive. This stripped down roadster is one of the most affordable sports cars on the road. After 25 years of production, the Mazda MX-5 Miata is still performance driven. A minivan with the makeup of a car, the Mazda 5 can zip through corners and turns with ease. Its cabin technology is simple yet sophisticated with available Bluetooth and moonroof. The Mazda 5 might be the easiest minivan to park in its segment.